A B.C. realtor’s licence has been suspended after he admitted that an imposter wrote and passed the licensing exam in his stead. Langley-based real estate professional Ryan Rana confessed to getting the help of a substitute exam-taker when an inquiry revealed that the passport picture used for the examination did not match his professional photo as shown on his website. “During that phone call Ryan Rana admitted that he did not write the licensing examination and that someone else had written it for him,” according to the suspension order posted on the B.C. Real Estate Council’s official online portal. Rana received his licence in February after supposedly passing the exam administered by the Sauder School of Business Real Estate Trading Services with a 90 per cent score. 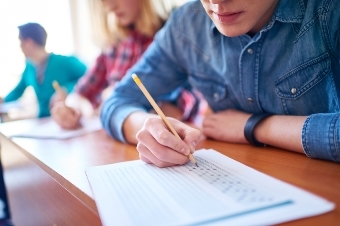 The substitute was initially prevented from participating in the test back on November 26, 2015 because of a mismatch between the admission ticket and a driver’s licence presented at the time. The imposter eventually took the exam around two weeks later, after presenting an affidavit attesting that Rana was the person in the driver’s licence. As of press time, reporters have been unable to reach Rana for comment.